Could nature provide us with the key to more efficient solar power? Investigations into the cabbage white butterfly have revealed that they are far more competent at utilising the Sun’s energy than our current solar technology. 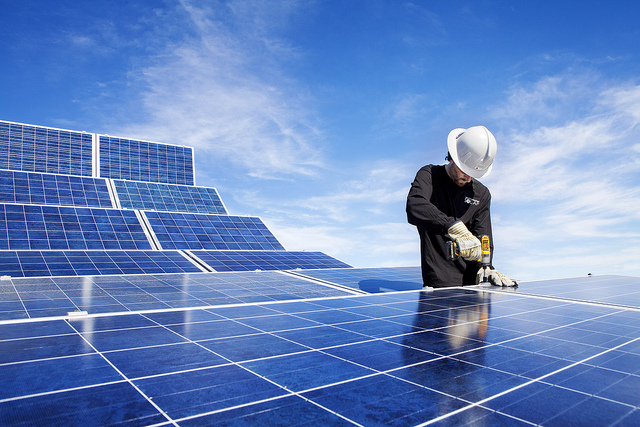 Could we adapt our own solar power systems to mimic theirs? 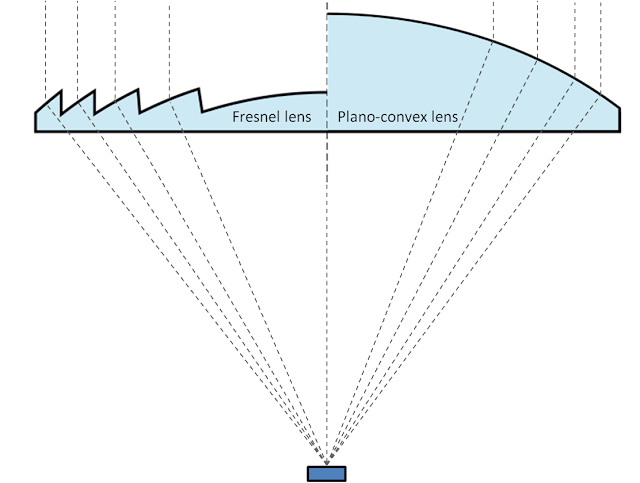 Man-made solar concentrators reflect light from the Sun to a much smaller area where a photovoltaic device resides - a material that can convert the energy from the sun into electricity. Current solar concentrators use lenses and mirrors to focus the light onto the photovoltaic cells, however this leads to a inconveniently heavy system that is hard to widely produce and distribute. The cabbage white butterfly, on the other hand, has a more direct process of solar concentration; using their wings, they reflect light onto their thorax and heat up their flight muscles, making them more supple and efficient. It has been suggested that the ‘V-shaped’ stance they assume when basking equips them for this process, allowing more light to be reflected towards the body and muscles. Additionally, the individual scales on their wings are comprised of pterin nanobeads which range from 100-500 nanometers. It has been shown that these beads make the wings far better at concentrating the solar radiation, increasing their reflectivity by up to 50%. All three variations of the cabbage white species demonstrated the ability to act as effective solar concentrators, but their different reflectivity levels were examined to establish which variation had the best wings for the task. The Pieris brassicae (large white) showed more promise than both the Pieris rapae (small white) and the Pieris napi (green-veined white). As a result the Pieris brassicae wings were attached to a solar cell during experiments to demonstrate how beneficial this light-weight alternative to traditional solar concentrators could be. The output power of the solar cell increased by 42.3% - from 16.8mW to 23.9mW, and the power to weight ratio increased 17-fold compared to the same data when the wings were not present. With any luck this investigation could spark a motion towards more viable solar power as a main energy source, especially in areas that are often cloudy. However, first a device and coating must be designed that simulates the same behaviour and properties as the butterfly wings. In July of this year (2015), scientists succeeded in developing man made ‘butterfly molecules’ they can precisely control, with possible applications for dye-sensitized solar cells. Dye-sensitized solar cells are made from a semiconductor material that is ‘excited’ when placed in sunlight - this causes the electrons in the cells to vibrate, and is known as photoexcitation. Consequentially an electric current flows, which forms the foundation for solar energy conversion. 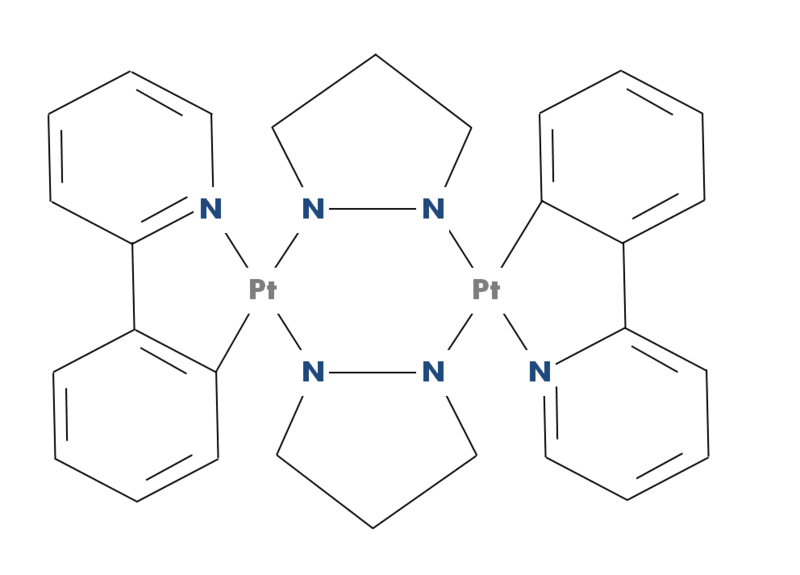 The butterfly molecules - a chemical compound known as ‘pyrazolate bridged binuclear platinum complex’ (BFPtPZ) - contain platinum atoms (Pt). 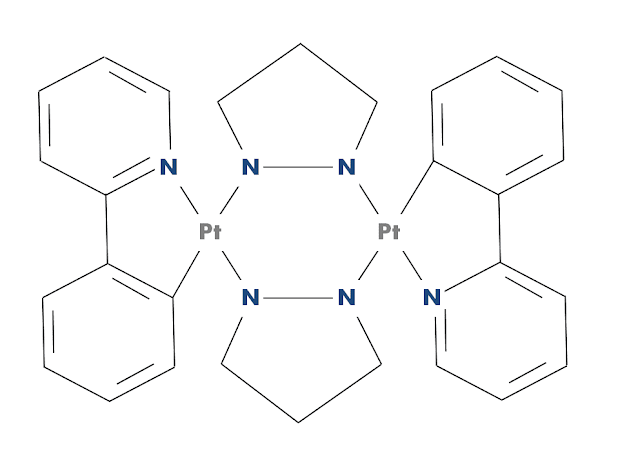 When subject to photoexcitation, the bonds between these platinum atoms lengthen and contract, resulting in two different excited states. This process puts strain on the molecule and causes it to change shape - a phenomenon known as photoinduced structural change. This essentially means they can change colour as the bond changes shape in a cycle format, akin to a butterfly flapping its wings. The long bonds resemble open wings with larger flatter surfaces that emit greenish blue light, and the short bonds correspond to closed wings which emit red light. This precise control over the ‘butterfly molecules’ could lead to progress in the field of dye-sensitized solar cells, we don’t yet know what these developments may be, but the manipulation of these molecules is an exciting prospect. Butterflies have led us, in a fashion, to progress within two very different branches of solar energy. The butterfly wing solar concentrators have an obvious application in mind and the question lies in making it widely possible to achieve, while the butterfly molecules still lie within the realms of unexplored territory. The knowledge obtained during the research undertaken in both studies can only aid the venture towards more efficient solar power, and the goal of tackling climate change. This article was written by Holly Godwin, a physics student from the University of Surrey, conducting a summer internship as a science writer at TWDK. Morehouse, N., et al. ‘Pterin pigment granules are responsible for both broadband light scattering and wavelength selective absorption in the wing scales of pierid butterflies’ Proc Biol Sci . 2007 Feb 7; 274(1608): 359–366. Zhou, C., ‘Precise Design of Phosphorescent Molecular Butterflies with Tunable Photoinduced Structural Change and Dual Emission’ Angewandte Chemie , 54(33), 2015.